The instructor in charge of the attraction violated safety guidelines when he instructed Johnson to stand on the bodyboard while he held it, a maneuver that deviated from its regular use. When the instructor released the board, Johnson fell and suffered a fractured ankle. The lower court also rejected Johnson’s argument that the waiver is invalid under 46 U.S.C 30509 (assuming general maritime law and admiralty jurisdiction is applicable) which prohibits regulations or contract provisions that attempt to absolve a defendant from its own negligence in the transporting of passengers between ports in the U.S. or between the U.S. and a foreign country. 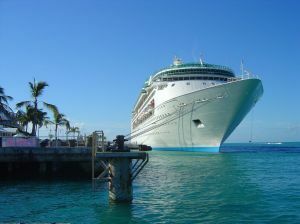 Royal Caribbean was granted summary judgment on the grounds that the waiver was enforceable. At the end of last year, however, the 11th Circuit Court of Appeals reversed the decision, ruling that the waiver signed by Johnson clearly runs afoul of 46 U.S.C 30509, a statute containing no exceptions for passengers engaging in activity which may be deemed ultra-hazardous or recreational in nature. Click here for full court opinion. Although Royal Caribbean is the only cruise line that boasts an attraction like the FlowRider, (and it’s no wonder, with numerous injuries reported and even one death resulting from its use), if you are injured seriously during any onboard activity, consult a maritime lawyer to ensure that a waiver isn’t being enforced against you.